My Name is Brandon Lott I am a service missionary for the Church of Jesus Christ of Latter day Saints, I hope thru my messages one might feel a warm peaceful feeling in the heart, this feeling is the Holy Ghost telling you the things you see in my messages are true, if you have any questions feel free to email me elderblott@hotmail.com i hope and pray my messages strike questions in your mind and help motivate others to study the LDS Church. Unfortunately, cult members are not taught to give Biblical citations for comments such as these, basically; doing so would limit them from being able to distort the Word of God (though this point would be mute if they used their own distorted translation), so attempting to confront something that is presented as Biblical, when actually subjective, is difficult. However, this verse has nothing to do with the Holy Spirit validating anything, but deals with the fact that if a Believer keeps their mind stayed upon God and His Word, they will have an inward peace that is unlike the world’s understanding of the word. This is Paul speaking to the church at Rome, communicating his desire that they would be filled with joy and peace by the Holy Spirit, abounding in hope – the hope of the resurrection. However, this passage wouldn’t fit Brandon’s context either. This passage addresses the fact that it is the peace of God that should be maintained within the inner man of the Believer, and that Believers are part of the same body, the body of Christ. The issue at hand is the unity of the church in this passage. This passage speaks about the condition of the mind of the believer, wherein being spiritually minded produce life and peace. Again, this does not fit Brandon’s statement either. Now, why am I beating this horse to death, the answer is twofold. 1) It is important to note that anything we say concerning God, His purposes, and His Word needs to be validated based upon the Word of God, and not a conjecture, or supposition of our own. – This should be an obvious point that needs no elaboration. 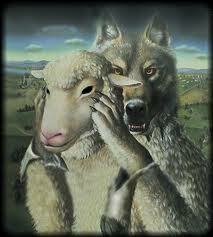 2) When dealing with false-believers, how should we address them? This we shall attempt address in the following. If you looked up the comment and reply that were made concerning Brandon’s rather innocent appearing comment (see the comments section concerning the article: “Meek ~ The Great Example” – Link), you will see that I was very straightforward, not attempting to utilize a touchy-feely approach concerning the gospel. Cult members are taught to not specifically appear to be different from Christians, even though they are taught that the typical Christian is either doomed to hell, or a lesser type of salvation if at all. 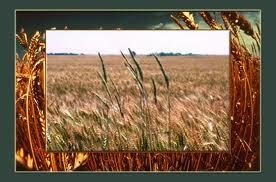 They are taught subterfuge, hence they are tares which are taught to look like wheat (Matthew 13:25-30). Many times they will sound Christian in their conversation, yet marked by a form of vagueness; and lack of specificity, which a mature believer displays. They will use Christian words, yet they use them meaning something different from the standard understanding. Brandon spoke about following Jesus’ walk. He used the word “atone.” Even, spoke about the Trinity. However, if you understand what Mormons teach and believe, you know that they don’t believe in the Trinity the same as you or I, and the way they use the word atonement is completely different. They always seem to glorify Jesus, and even speak about him being a son of God; yet what they truly believe is that he is not THE Son of God. Their teaching is that Jesus was a created being, a half-brother of Lucifer, and that he became a God in the same sense that you or I will become one (if we are Mormons), there is nothing unique about Jesus except that he got to a place that we will someday come to (if we are Mormons), that is if we follow the teaching and dogma of the of Jesus Christ of latter-day Saints. When I spoke to Brandon, some might say that I was rude. What I was, was blunt and frank. For those that have a hard time with this, let me ask you this question; “how do you deal with cancer” – “you cut it out.” Yet, cancer can only take your human life, false religions can aid in committing your eternal soul to hell. I explained to him why I would not publish the links that he attempted to embed within his comment – you will notice that in his comment he did not identify himself as a Mormon, yet presented himself as a Christian would. I then went on to correct his misunderstanding of the Biblical word “heart,” explaining the Biblical meaning of the word (such as: the Hebrew and Greek words for “heart” in the Bible do not equate the same as our English understanding of the emotions. The word “heart,” in the Greek and Hebrew dictionary [and told him to please look it up], means the inward man, who is made up of 3 components: 1) the mind, 2) the emotions, and 3) the will, where discretion takes place. Our mind is given the preeminence, with our emotions as a blessing based upon the response of what we deal with, rather happy or sad – love or hate. The point is, the seat of the will is discretion, where decisions are made, which are to be based upon our mind, which is to be according to God’s Word; never by our emotions, which have to do with our perception and the flesh – OUR FEELINGS. You cannot separate the flesh from our perception, and our emotions are based upon perception. ), along with other biblical insights (such as: we are NOT to be guided by our emotions, which is to be guided by our human perception, our sight – “For we walk by faith, not by sight” ~ (2 Corinthians 5:72). I then confronted him concerning the falsehood of Mormonism, such as: their beliefs concerning Jesus as stated previously. I did apologize for sounding condescending, yet I did display an attitude of a confrontation, not hostility. It is amazing how many Christians believe we have to be nice when dealing with such dangerous subjects as the eternity of the human soul. Many believers see Jesus as a touchy-feely pacifist, who is almost effeminate. They refuse to understand that Jesus came the first time as the “Lamb of God” to die for the sins of the world – this was His role, not a reflection of passivity – the second time He comes, He will be a man of war with blood up unto His bridle, killing millions and millions of unbelievers. The type of deceptive behavior that false-believers display should never be answered with politeness or niceness – in fact show me one place that Jesus told us to deal with false religions by being polite or nice. Let us examine the ultimate example of how to treat these types of people and situations – let us look to Jesus Himself. The following are examples of how Jesus addressed false teachers (any false-believer that attempts to teach their false belief is a false teacher). Jesus metaphorically used animal names to describe the false teachers of His day by calling them snakes and “offspring of serpents,” ”wolves,” and unregenerate Gentiles “dogs” (Matt. 23:33; Matt. 7:15; 10:16; Luke 10:3; Matt. 7:6). Jesus also called them “hypocrites,” “blind leaders od the blind,” “whited sepulchers,” “dead men’s bone,” of their father the Devil (Matt. 6:2, 5, 16; 23:13; Matt. 15:14; Matt. 23:27; John 8:44). Jesus used a whip, and cleared the temple twice; once at the beginning of His ministry (John 2:13-17), then at the end of His ministry (Matthew 23:13-33). Jesus constantly warned then: “Woe to you…” (Matthew 11:21; 23:13, 14, 15, 16, 23, 25, 27, 29; Luke 6:24, 25, 26; 10:13; 11:42, 43, 44, 46, 47, 52). In their day this meant much more than it sounds to us – its like yelling: “watch out…”. This seems to be an accurate description of our current culture. If one truly ponders the implications of each and every word that God specifically uses, therein is a picture that is so revolting and sickening; that it is a wonder that a Believer would ever leave his own house each day. However, this is just not a listing of qualities of un-regenerated man during the last days, there is more here than merely that. There is the reference to Jannes and Jamres, that you will not find anywhere in the Bible, that is a key. 2 Timothy 3:1-8 is connotatively (in general) a description of unregenerate man; however denotatively (specifically) it is a description of false-believers. Yet, it is the first of these 19 (underlined in blue) negative qualities which we as believers should be aware of when dealing with these false-believers, they are dangerous, and worse yet they are blind. And as has wisely been stated, there is nothing so dangerous as a sincerely self-deceived man, especially if he is a worker of iniquity, a son of his father Satan. Why do people have a hard time with “honest and blunt”? It’s concidered hateful and intolerant. I thought your response was just right. We have a responsibility to speak openly to these deceived souls. What could be more kind than to be completely honest and to the point? I think you are I think you’re absolutely right, being completely and absolutely honest with an individual that is deceived into trusting in a false religion is one of the most merciful things that we can do, yet at the same time I admit it’s very difficult. By nature, I don’t like feeling uncomfortable; nor do I enjoy making others feel uncomfortable either. However, this is where following the lead of the Holy Spirit in being open to His direction comes into play. Concerning your comment wherein being honest and blunt is considered hateful or intolerant, I’d like to share a story. Over 35 years ago I was living in Southern California as a young believer. By then the Trinity Broadcasting Network (TBN) was going strong, and was not displaying all the weirdness we now see. I remember that I warned everyone I knew that was watching them to be careful because there was something wrong with them, that there was more presentation than substance, and check out the Scriptures that they were using because they were distorting the context many times. They were so touchy-feely, and lovey-dovey concerning what they considered biblical love (Jan), yet I interpreted as subterfuge (Paul and the other teachers). My grandmother used to watch many of their shows, which caused me great concern. A few years before I had been a follower of the Word Faith movement teaching of Kenneth Copeland for a few months, and was aware at how that many of those that frequented TBN distorted God’s Word, yet they could make it sound so right out of context, while at the same time defining biblical principles. At the time I attended Melodyland School of Theology in Anaheim California, and took classes under Dr. Walter Martin, the apologist. I had heard that Walter was going to be on TBN, talking about cults, and how to deal with them. Having known Walter and his ability to debate and be brutally honest, I watched with great anticipation. There was Walter and Jan Crouch sitting in chairs talking. Walter, in his inevitable style was very blunt about people going to hell following false cults, claiming to be Christian. From that day on, I have often talked about being willing to “throw ice-water in someone’s face,” in order to shock them enough to really think about what is being said, Because if we or anyone else distorts God’s Word, misrepresent who God is; or especially if we are engaging in or teaching others damnable heresies that will lead them to hell, sometimes it’s only the shock of ice-water in our faces that will allow the Holy Spirit to break through our denial, justification, and rationalization; all which is leading us and perhaps other the wrong way. Heather, I agree, there is nothing more loving than aiding the Holy Spirit in honestly telling a person who is going to hell the truth. “I say unto you, there is joy in the presence of the angels of God over one sinner that repenteth.” (Luk 15:10). Thank you so much for sharing that story about Walter Martin. Shortly after I left Mormonism, I was introduced to his book “Kingdom of the Cults”. I learned so much from it and it helped me a great deal in my recovery…both from the false teachings I had been trying to sort out but also with the emotional trauma of leaving a cult. The Holy Spirit of course comforted, led and kept me through the transition but Dr. Martin’s book was just what I needed. I have never watched TBN. I am always so distrusting of ANY religious leader until they can prove to me without a doubt that they are Biblical. I believe that coming out of a cult…through faith and by the grace of God…and then studying that cult out and how it is simply UNBIBLICAL makes it easier to quickly recognize false teachings in other organizations. I am just so happy that you shared that story. It means a lot to know that about Dr. Martin. More people need to be bold and stand up for the truth. I can’t tell you how many times someone would throw “ice water” in my face and I would get hurt, angry, offended…but without their boldness and willingness to put themselves out there at the receiving end of my wrath…I’d be on my way to hell. I wouldn’t know Jesus. I wouldn’t have joy. I could go on and on! I feel led by the Spirit to do the same even though by nature I am a very non-confrontational type person. I am motivated to speak the truth because of the people who were willing to do that for me!